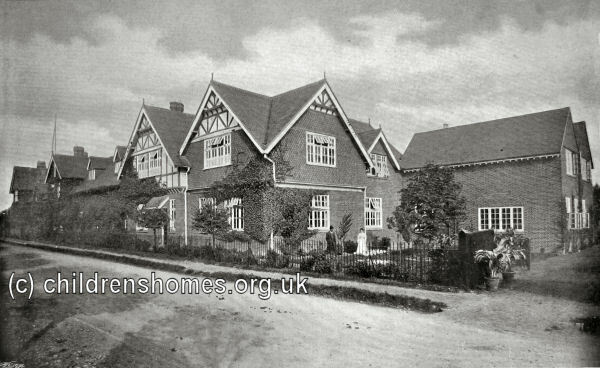 The School of Handicrafts for Destitute Boys was established in 1885 at Eastworth Road, Chertsey, Surrey. It was founded by Dr Thomas Hawksley (sometimes misspelled as 'Hawkesley'), an eminent physician who was a consultant at the Infirmary for Consumption, in Margaret Street, West London. Hawksley donated around £25,000 for the purchase of the 26-acre site, construction of buildings, and other costs. At his death in 1893, he bequeathed a further large sum to endow the School with an income of £1,000 a year. The School was operated on the family system and divided into five houses, each in the charge of a married couple, the man teaching his trade. It could eventually accommodate a total of 100 boys aged 10 to 14 at their date of admission and who had never been convicted of any crime. Wherever possible, a payment was requested for the each boy's maintenance. In the 1890s, this was 5s. a week, but had risen to 14s. 6d. in 1935. The handicrafts and trades taught at the School included tailoring, boot and shoe making, plumbing, glazing, painting, gas-fitting, cabinet making, picture-frame making, relief stamping, upholstery, French polishing, farm and garden work, dairy work, corn grinding, baking and bread making, and laundry work. For their basic education, the boys attended the local National School. 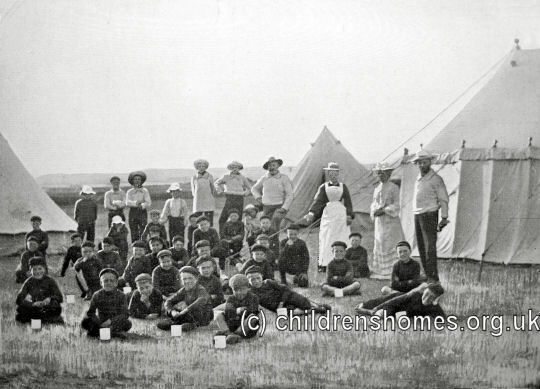 In the summer, holidays and camps away were arranged for the boys. The School also provided training for boys from the nearby Ministering Children's League Home at Chertsey. The Handicrafts School closed in 1952. 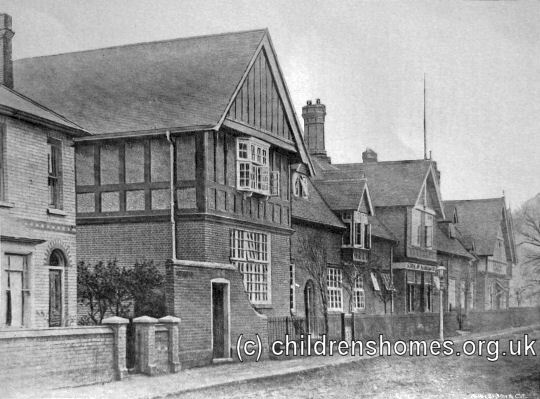 The premises were subsequently occupied by St Thomas the Apostle Roman Catholic School. The old buildings no longer stand and a car park now occupies the site. Surrey History Centre, 130 Goldsworth Road, Woking, Surrey GU21 6ND. Holds records from 1887 to 1952 including: Committee Minutes; Pupil records; Superintendent's journal; Financial records including pocket-money books.